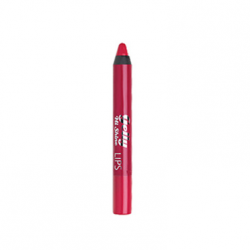 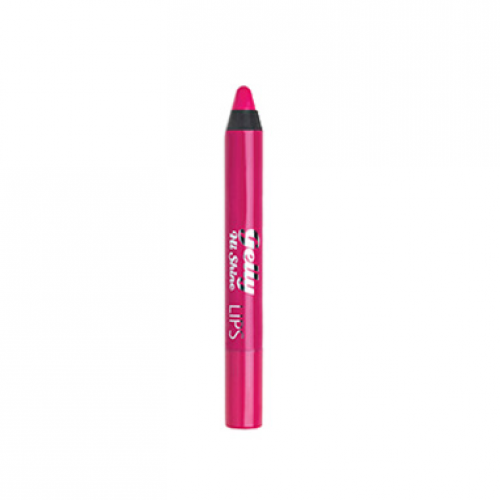 Gelly Hi Shine Lips from Barry M bring a new meaning to the power pout. Soft, moisturising lip crayons in 5 hot shades; with their ultra-rich, highly pigmented formula, they create an intense depth of colour with an unbelievable sheen. 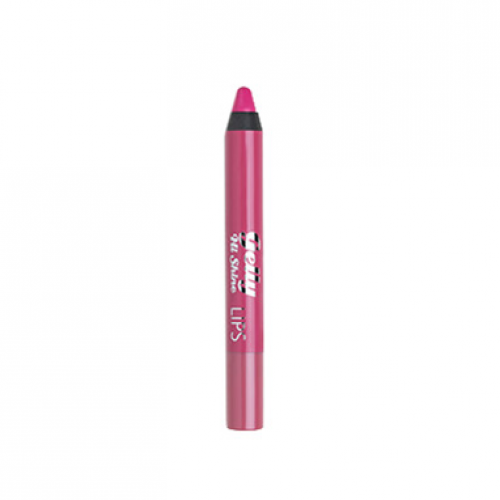 Tip: To get the most out of your Gelly Hi Shine Lip Pencil we recommend using the Barry M Duo Pencil Sharpener. BIS-BEHENYL/ ISOSTEARYL/ PHYTOSTERYL DIMER DILINOLEYL DIMER DILINOLEATE, ISOCETYL STEARATE, DIISOSTEARYL MALATE, POLYBUTENE, SYNTHETIC WAX, SILICA, SYNTHETIC BEESWAX, GLYCERYL CAPRYLATE, PARFUM, PENTAERYTHRITYL TETRA-DI-T-BUTYL HYDROXYHYDROCINNAMATE, TOCOPHEROL, BENZYL ALCOHOL, BENZYL BENZOATE, EUGENOL, MICA, CI 15850, CI 77492, CI 77491, CI 42090, CI 77499, CI 77891. BIS-BEHENYL/ ISOSTEARYL/ PHYTOSTERYL DIMER DILINOLEYL DIMER DILINOLEATE, ISOCETYL STEARATE, DIISOSTEARYL MALATE, POLYBUTENE, SYNTHETIC WAX, SILICA, SYNTHETIC BEESWAX, GLYCERYL CAPRYLATE, PARFUM, PENTAERYTHRITYL TETRA-DI-T-BUTYL HYDROXYHYDROCINNAMATE, TOCOPHEROL, ANISE ALCOHOL, BENZYL ALCOHOL, BENZYL CINNAMATE, CINNAMYL ALCOHOL, CITRONELLOL, LIMONENE, MICA, CI 15850. BIS-BEHENYL/ ISOSTEARYL/ PHYTOSTERYL DIMER DILINOLEYL DIMER DILINOLEATE, ISOCETYL STEARATE, DIISOSTEARYL MALATE, POLYBUTENE, SYNTHETIC WAX, SILICA, SYNTHETIC BEESWAX, GLYCERYL CAPRYLATE, PARFUM, PENTAERYTHRITYL TETRA-DI-T-BUTYL HYDROXYHYDROCINNAMATE, TOCOPHEROL, BENZYL ALCOHOL, BENZYL BENZOATE, CITRAL, CITRONELLOL, EUGENOL, FARNESOL, GERANIOL, LINALOOL, MICA, CI 45410, CI 77891. BIS-BEHENYL/ ISOSTEARYL/ PHYTOSTERYL DIMER DILINOLEYL DIMER DILINOLEATE, ISOCETYL STEARATE, DIISOSTEARYL MALATE, POLYBUTENE, SYNTHETIC WAX, SILICA, SYNTHETIC BEESWAX, GLYCERYL CAPRYLATE, PARFUM, PENTAERYTHRITYL TETRA-DI-T-BUTYL HYDROXYHYDROCINNAMATE, TOCOPHEROL, CITRAL, CITRONELLOL, GERANIOL, LIMONENE, LINALOOL, MICA, CI 77891, CI 15850. BIS-BEHENYL/ ISOSTEARYL/ PHYTOSTERYL DIMER DILINOLEYL DIMER DILINOLEATE, ISOCETYL STEARATE, DIISOSTEARYL MALATE, POLYBUTENE, SYNTHETIC WAX, SILICA, SYNTHETIC BEESWAX, GLYCERYL CAPRYLATE, PARFUM, PENTAERYTHRITYL TETRA-DI-T-BUTYL HYDROXYHYDROCINNAMATE, TOCOPHEROL, BENZYL ALCOHOL, BENZYL SALICYLATE, CITRONELLOL, EUGENOL, FARNESOL, LIMONENE, LINALOOL, MICA, CI 77891, CI 15850, CI 77491.